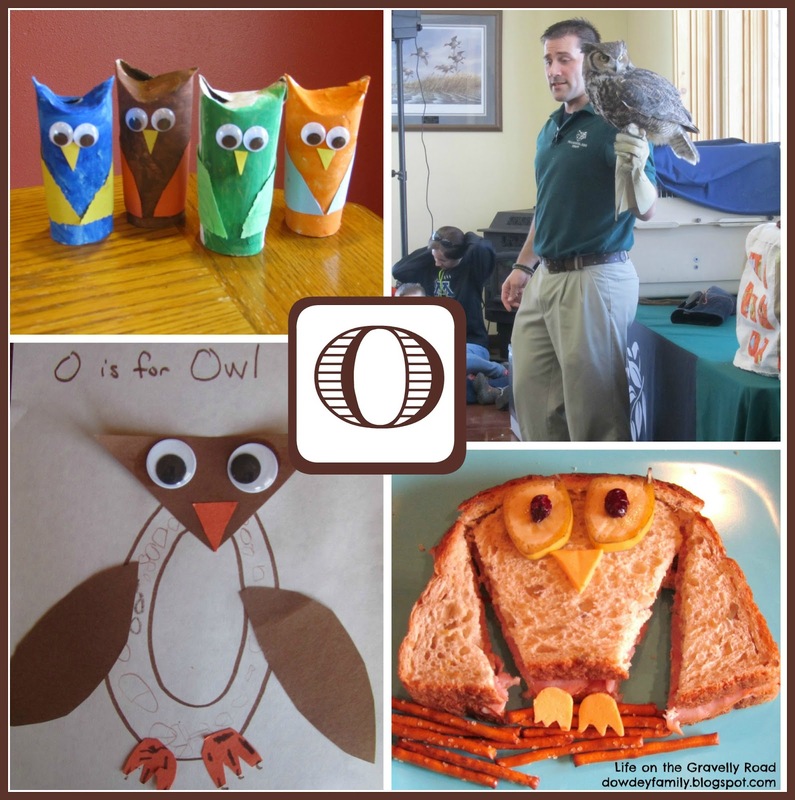 Life on the Gravelly Road: Fun with the Letter "O"
Since we had so much fun learning about owls at the Zoomobile presentation a few weekends ago, we decided to celebrate O is for Owl last week. This cute owl sandwich was super simple to make. 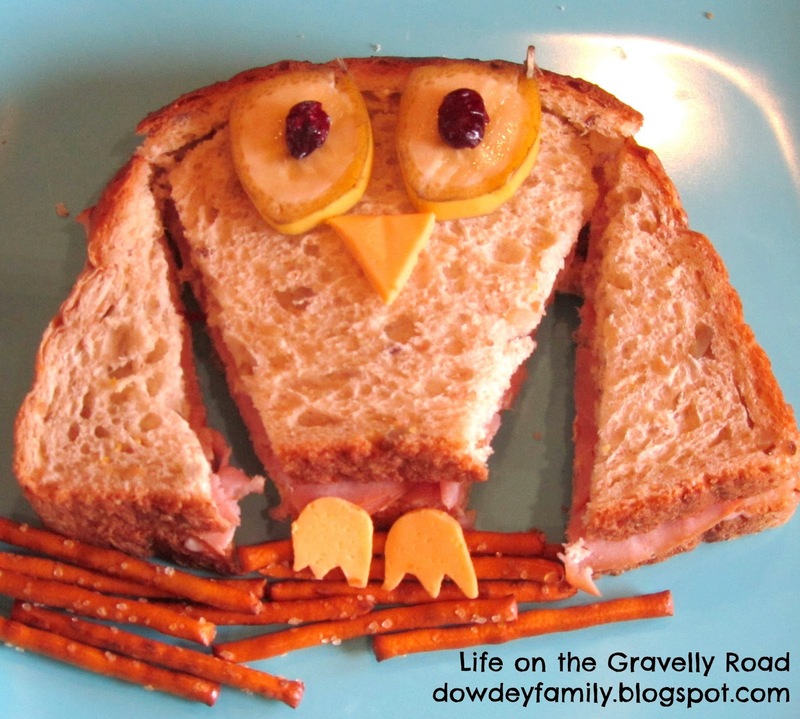 I made diagonal cuts to form the wings, adding banana slices with craisins for eyes, a cheese triangle for beak, cheese feet and some pretzels for a branch. We made these adorable owls out of toilet paper rolls. After bending/folding in one end to make the top of the head of the owl, my kiddo excitedly started painting. I was thinking we'd make one, maybe two, owls but he wanted to keep painting and painting. 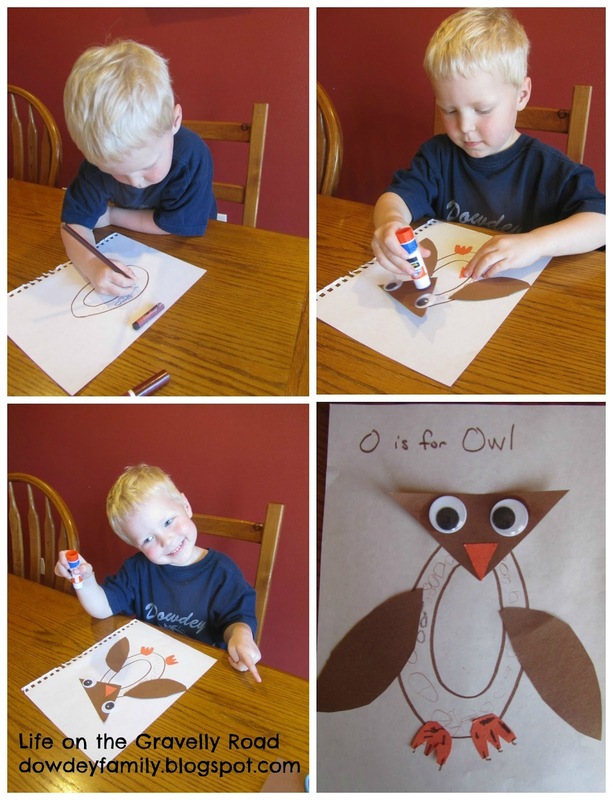 After all the paint dried, we added construction paper wings, googly eyes, and paper beak. We also did this quick project above. After I drew the letter O on a sheet of paper, my son filled it in with small o's (to look sort of like feathers, really just keeping him busy while I gathered other supplies). Then we put together the face, wings and feet. He helped with some of the cutting. Notice the extra detail he added to the feet -- he reminded me the owl feet needed sharp claws to pick up mice. I guess he was listening to the books during the week! Those are really neat projects. 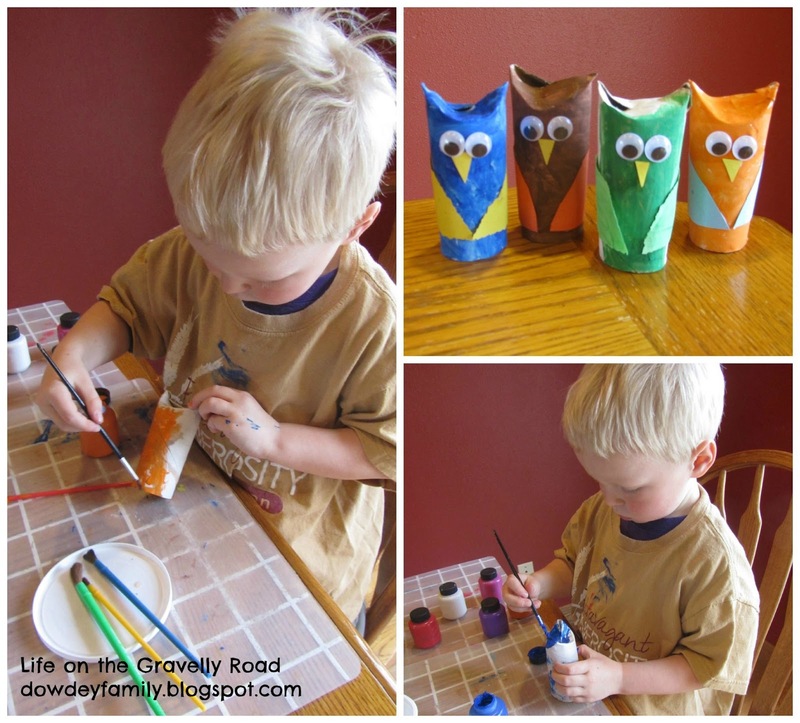 The toilet paper tube owls are really cute!